Sept. 25, 2015, 9:02 a.m.
President John Dramani Mahama will join several leaders from around the world at the United Nations in New York today September 25, 2015, to adopt the Sustainable Development Goals (SDGs). Since 2012, the OWG has been working to formulate the SDGs and their corresponding targets as the basis for the new global agenda, which will 2016 to 2030. The United Nations General Assembly in July 2014 endorsed 17 goals and 169 targets proposed by the OWG, following which several sessions of inter-governmental negotiations were convened in New York to draft a resolution for consideration by the 70th Regular Session of the UN General Assembly (UNGA 70), which opened on 15th September 2015 in New York. This will be followed by a Summit for the Adoption of the Post-2015 Development Agenda, scheduled for 25-27 September 2015. 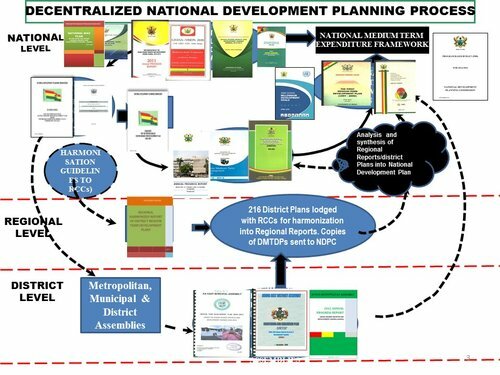 The National Development Planning Commission (NDPC), in partnership with the United Nations (UN) Country Team in Ghana, launched the first round of national consultations in November 2012 in Tamale, Northern Region. Two key objectives of the consultations were: (1) to stimulate a broad national debate on priorities that must constitute the post-2015 development agenda, and (2) provide opportunities for marginalised segments of society to participate in the global debate. These consultations occurred in three phases. The first phase covered persons living with disabilities (PWDs), women, youth, traditional authorities, private sector, and academia principally from the three northern regions of Ghana. The second phase of the consultations consisted of a series of focus group discussions with 15 communities from all ten regions of Ghana, while the third phase targeted professional groups. The community focus sought to ensure that the voices of marginalized groups counted in the global discussions on the “The World We Want”. Social media tools, such as Facebook, mobile phone text messaging, radio and television were also employed to further public contributions. . The second round of national consultations took place in June 2014. Under the leadership of NDPC and the UN country team, these consultations were focused on exploring and proposing critical elements that would allow a successful implementation of the Post-2015 development agenda at various levels of government administration. The second round consultations took place at the national, district, and community levels and drew lessons from the implementation of the MDGs. Ghana and Denmark jointly coordinated global consultations on inequality. The final meeting was held in Copenhagen in 2013 and was jointly chaired by the chairman of NDPC and the Danish Minister for Foreign Affairs. As a follow-up, Ghana, in collaboration with UNDP and various partners, hosted a Pan-African conference on inequality from 28–30 April 2014. The theme for the conference was, “Tackling Inequalities and Promoting Structural Transformation in Africa”. National coordination on the SDGs has been organized at three levels, two of which focus on various dimensions of the SDGs and the other on how to finance their implementation. The two working groups are the Inter-ministerial National Technical Committee (NTC) on the SDGs and the committee on financing for development with the High-Level Inter-ministerial Committee (HLIC) providing policy oversight. In response to the initial 19 Focus Areas released by the OWG in February 2014, the Ghanaian government established a National Technical Committee comprising representatives of 22 government agencies, ministries and institutions as well as two civil society organisations. 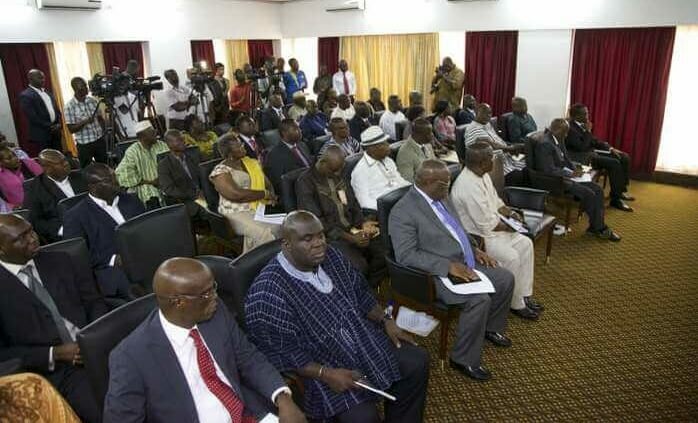 The committee’s primary task was to discuss and evaluate the Focus Areas to ensure that they reflected Ghana’s prevailing socio-economic situations and aspirations for the future. The NTC also provided the platform for collating inputs which provided the basis for Ghana’s negotiations at the Open Working Group Sessions and inter-governmental negotiations at the UN. The HLICC was constituted by NDPC with the aim of providing strategic guidance to the work of the NTC and ensuring greater coordination among the state agencies participating in the post-2015 development process. The committee comprises Ministers and Directors from 11 government agencies and ministries. The HLIC also sought to identify national priority issues that can be canvassed for inclusion in the SDGs. The committee will also galvanize support and promote coordination for the implementation of the SDGs. The third track of the post-2015 agenda is on financing for development (FfD). As with the NTC, the goal of the Committee working on the FfD is to ensure that critical priority financing issues are factored in the debates on financing the post-2015 development goals. The committee is chaired by the Ministry of Finance and led Ghana’s participation at the Third International Conference on Development Financing held in Addis Ababa in July 2015. The National Development Planning Commission, in collaboration with the United Nations Development Programme (UNDP), has since 2003undertaken biennial reviews of progress towards the MDGs. The last review, contained in the 2015 Millennium Development Goals Report, was launched on 22 September 2015 in preparation for the upcoming UN General Assembly in New York where the successor framework, the Sustainable Development Goals (SDGs) will be launched. Overall, the review shows that over 70% of targets under the 8 goals were attained in full or in part. 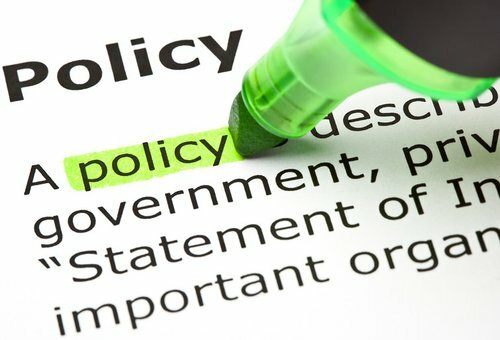 The review showed that MDGs positively influenced policy and programme interventions and brought together development partners to build innovative alliances for enhanced effectiveness and mutual accountability. Among the notable accomplishments were the following: – halving extreme poverty (MDG 1A); halving the proportion of people without access to safe drinking water (MDG 7B); universal primary education (MDG 2A); and gender parity in primary school (MDG 3). Significant progress was also made in reducing HIV prevalence (MDG 6C), increasing access to ICT (MDG 8F) and reducing the proportion of people suffering from hunger. Following the adoption of the SDGs by the UN General Assembly, it would be necessary to build on the lessons from the implementation of the MDGs for the effective incorporation of the SDGs into the country’s development strategies, in particular the long-term national development plan. The SDGs, along with their targets (as well as indicators to be developed in 2016) will be binding on member states of the United Nations. It is governments’ acknowledgement that the levels of poverty, environmental degradation and climate change as well as inequality of various dimensions, among others, are unacceptable and must be tackled as a matter of urgency in concerted global and national efforts. The SDGs in many tackle the “unfinished business” of the MDGs, in addition to new issues in development. As heads of state adopt the resolution on the SDGs, state governments implicitly agree to prioritise the SDGs in their national development agenda and to participate in the regular monitoring of progress. They also undertake to invest in the areas of intervention, including statistical development, to ensure their full participation and effectiveness in the monitoring systems, both national and internationally. The general experience from the process and feedback suggests that Ghana is not only expected to be directly involved in these processes but also that the contributions made are highly valued. This implies that further investments in time and resources, including human, need to be sustained in the next 15 years, over the duration of the implementation of the SDGs as countries and regions are called to report on achievements at regular intervals.